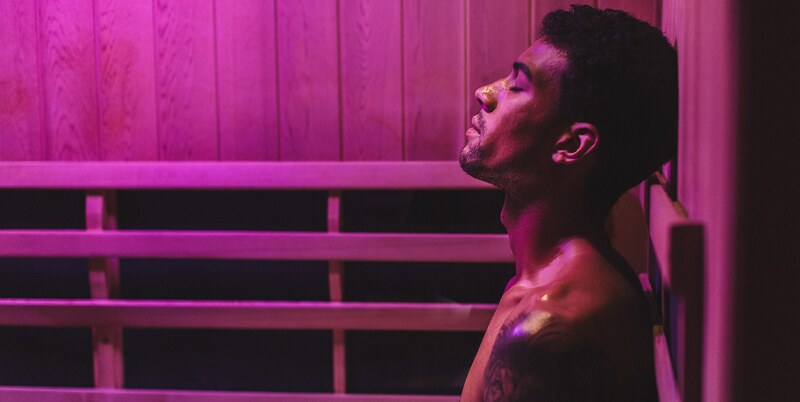 Seven Infrared Sauna sessions to be used in seven days. No exercise required to burn calories- just relax! "I am so glad I found this place! I love going to hot yoga but its takes so much stamina. Now I can get in a work out and enjoy this beautiful place in relaxation and bliss. I just joined as a member with even more benefits and hope you can give it a try. My sweet spot for sure!" "I cannot wait to be back in the infrared sauna tomorrow!! I am going to hit the sauna @perspiresaunastudio! if you look close you can actually see the sweat dripping!" "I have been going to Perspire for 3 years now and absolutely LOVE it! From the customer service, experience and convenience of their locations and booking appointments on their mobile application... it’s been wonderful! I have seen significant changes in my skin clarity and overall well being since I became a member. Thank you for all that you do!" "One of the best experiences! I really enjoyed the Sauna therapy. You get your own private room which is pretty amazing. Your able to just relax on your own for 40 min. They have different Chromo lights which is a method of treatment that uses the visible spectrum (colors) to cure disease. I highly recommend this. I give this experience 5 stars." "I had a multitude of issues going on in my body - pain in my stomach, body aches, shortness of breath, blurry vision, headaches, extreme fatigue. However the infrared sauna therapy has been pulling out all the toxins from my body, helping me restore my health one day at a time and making me feel much better. I have noticed a huge positive change."